10x Ph (incldued), and optional 20x Ph, 40x Ph, and brightfield 1.25x-500x objective lenses. 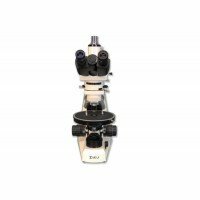 The MT6520 & MT6530 Series is a newly designed PCM (Phase Contrast) Compound Microscopes for Asbestos ber counting applications. 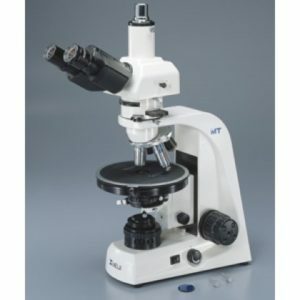 Meiji Techno America manufactures these microscopes pursuant to NIOSH 7400 and OSHA ID 160 Reference methods. Built in Koehler Transmitted illuminator with 6V 30W Halogen lamp and variable intensity control. Equipped with Phase contrast ∞ Infinity Corrected objectives, GIF filter, Walton & Beckett reticle and a centering telescope and stage micrometer. 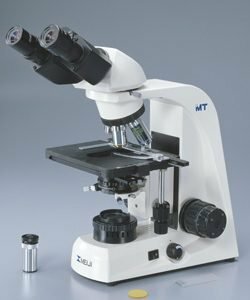 Meiji Techno MT6100 Series Asbestos PLM Microscopes for Bulk Fiber Identification (NIOSH 9002) The MT6100 has been designed as a versatile, modular, ergonomic microscope system which are ideally suited in education, research or advanced laboratory applications. • Built-in Koehler illuminator with halogen lamp 6V 30W light intensity control. 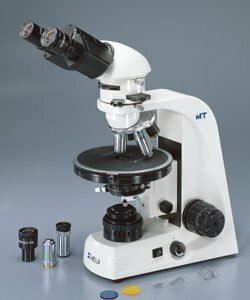 Asbestos microscopes for bulk fiber identification use polarized light microscopy and meet standards for NIOSH 9002. Fiber counting asbestos microscopes use phase contrast microscopy and meet standards for NIOSH 7400 & OSHA ID 160. Combo bulk fiber identification and fiber counting asbestos microscopes combine polarized light microscopy and phase contrast microscopy in one microscope to meet NIOSH 9002, NIOSH 7400 and OSHA ID 160 standards. This method is useful for the qualitative identification of asbestos and the semi-quantitative determination of asbestos in bulk samples. This method measures the percentage of asbestos as perceived by the analyst in comparison to standard projections, photographs, and experience. The quality of the results is dependant upon the skill and judgment of the operator. Phase contrast microscopy is the method that is primarily used for estimating asbestos concentrations of airborne fibers. This method is quick and can be performed on-site for a rapid determination of concentrations of asbestos fibers in the air. 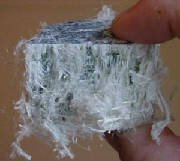 Phase contrast microscopy does not positively differentiate between asbestos and other fibers. Positive identification of asbestos fiber must be performed using PLM (Polarized Light Microscopy) or Electron Microscopy (Method 7402). The MT6820 & MT6830 Series Asbestos PLM–PCM Combination Microscopes for Bulk Fiber Identification NIOSH 7400 & 9002 and OSHA ID 160 Reference. 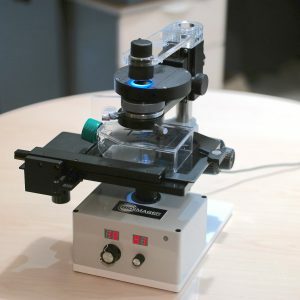 The MT6800 has been designed as a versatile, modular, ergonomic Asbestos PLM-PCM microscope combination system which is ideally suited in education, research or advanced laboratory applications where in space is limited. Ergonomic placement of controls allows for stress-free operation, increased lab efficiency and maximum productivity. Transmitted 6V 30W Koehler Halogen illuminator with a strain-free condenser with a slider for dispersion staining objectives and strain-free ∞ Infinity Corrected objectives and Dispersion Staining Objectives. The MT6800 Series offers an outstanding range of features and optical performance with an emphasis on all newly engineered high-performance optics based on Meiji Techno’s ICOS Optical System (Infinity Corrected Optical System). The new strain-free optics, provide exceptionally bright, crisp images, with good color rendition and superior flat fields of view.